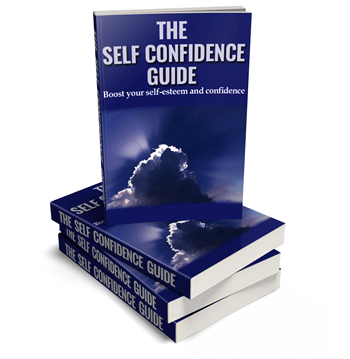 The self-improvement niche is huge and this self-confidence PLR package is filled with high quality content that we know you’ll be proud to use! We know you’ll love this package as much as we did creating it for you. It’s filled with ready-to-use content. We’ve edited everything and we know it’s good. The only editing you’ll ever need to do is if you want to add your own voice to it instead of ours! An eBook, created from the articles in this pack. Beautifully formatted, disclaimer, introduction and conclusion added. eBook fully illustrated with royalty free, commercial use images. eCover graphics for the ebook. In 4 different layouts, including a 3D stack. 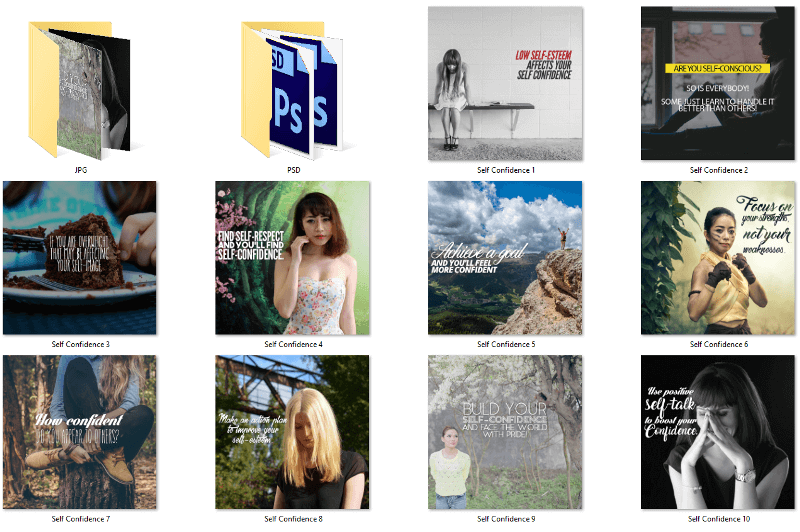 The PSD files are included for editing. Plus a full-size infographic, that has created another 3 mini-infographics! 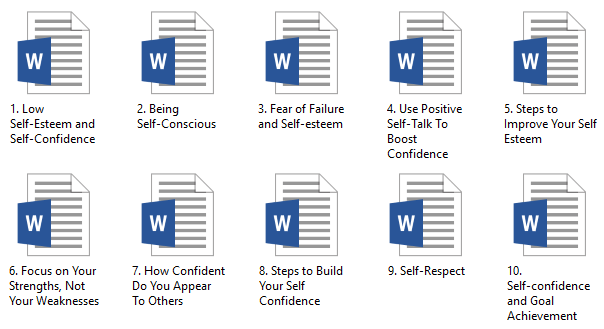 Here are the 10 article titles and their word counts. If you prefer an ebook to articles, we have done all the work for you! The ebook is supplied in a word doc and a PDF file, plus we’ve written the disclaimer, an introduction and a conclusion for you. 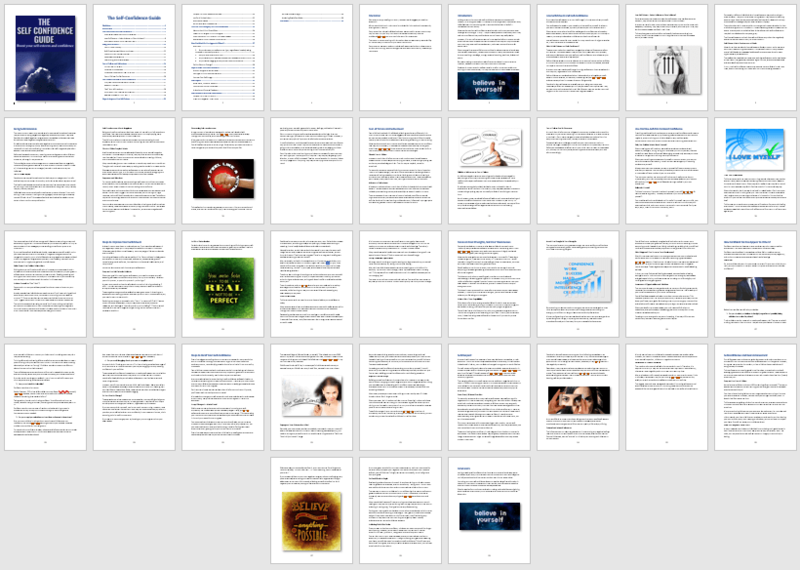 The ebook is 39 pages and 7,914 words long! This super-sized infographic measures a whopping 800px x 6,627px. This is what the authority sites display on their websites. This infographic is professionally designed. Plus, it creates another 3 “super-sized mini-infographics”, so you have lots more chances of going viral on the social media platforms! Exceptional value and high quality content you can use right now!